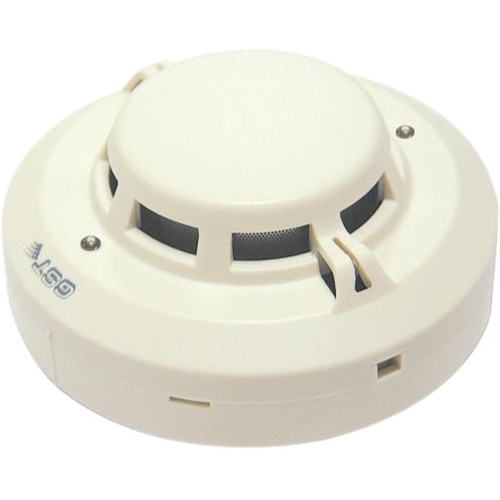 Programming 2 levels smoke sensitivities programmable, level 1 complies with EN 54-7. Strong environmental adaptability due to drift compensation. Removable innovative sensing chamber, easy for maintenance. Polling LED can be set to close. 2 levels smoke sensitivities programmable, level 1 complies with EN 54-7. Heat part complies with EN 54-5. With our valued services, we, ABC Systems are able to set a benchmark in the field of Surveillance System & Fire Safety Equipments. Our security & surveillance systems are sourced from reliable and trusted partners across the country. Leveraging on our industrious and dedicated team of professionals we are able to maintain the quality of our entire range through regular checking and testing. We are a supplier, trader and distributor of Metal Detectors, Fire Alarms, Safety Locks, Guard Alert Systems, Attendance Recording, Security CCTV Camera, IP Camera, CCD Cameras, Bullet Cameras, Infrared Camera, Security Alarm System, IRIS Lenses, Computers and Accessories, Security Cameras, Switching Power Supply, Power Adaptors, Breath Alcohol Tester, CCTV Rotator, Video Door Phone, Camera Lenses, RFID Tag, Mobile Phone Jammer, Digital Vidio Recorder & Components, Access Control Systems, Perimeter Protection, Fire Safety Equipment, Dome Cameras. Premium quality of our range further enables us to cater our range across colleges, schools and hospitals, hotels to offices, malls and factories. Further, to satisfy our clients across these areas we offer excellent after sales services in form of providing user manual to them.